We are happy to announce that as part of our partnership with the Louisville Free Public Library (LFPL) on their new free local music streaming service 'Louisville Mix' the Louisville Is For Lovers compilation LOUISVILLE BABYLON II: A Misfits Tribute will be available at lfpl.org on October 28th just in time for Halloween! 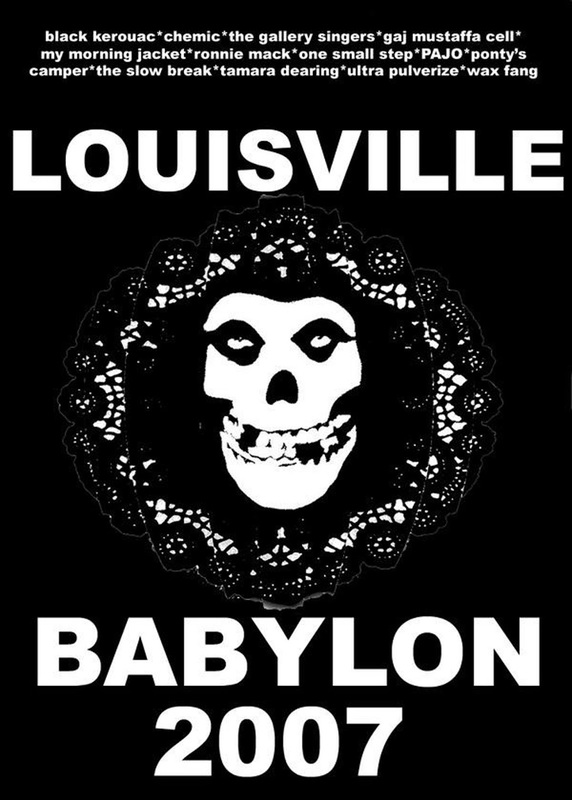 The Louisville Babylon II compilation was originally released in October of 2007 and includes over a dozen Misfits covers by Louisville artists such as My Morning Jacket, Wax Fang, Dave Pajo, and many more! If you can't wait until Halloween, you can hear a exclusive sneak preview of Louisville Babylon right now at leoweekly.com! As an added bonus, we are taking pre-orders for a digital download of the 2007 Misfits tribute album (with added bonus tracks) now for just $1.38, and on Oct. 31st the download will sent you or as a Halloween gift to the special ghoul of your choosing (Available for a limited time only)! 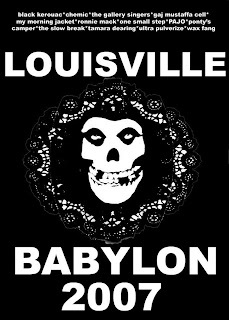 The original Louisville Babylon compilation was released by Analog Distillery in 1994 and included Misfits covers from twenty Louisville bands including Rodan, Crain, Falling Forward, Sunspring, and Endpoint. In 2007 Louisville Is For Lovers acquired permission from Analog Distillery to release the 1994 compilation (as a 13th anniversary reissue) as well as to release a contemporary follow up, Louisville Babylon II, with the next generation of Louisville groups including My Morning Jacket, Dave Pajo, Wax Fang, The Slow Break, and Ultra Pulverize. Currently the 1994 compilation is available to stream on the Louisville Mix site and on Oct. 28th the 2007 compilation will also be available on Louisville Mix. The Louisville Free Public Library is creating a streaming collection of Louisville music online. All of the Louisville Is For Lovers Valentine's releases are available to stream at lfpl.org/music, and the entire 15 year catalogue will be available by January 20th, when the Library will release the full archive to date (with music added continuously after) including My Morning Jacket, Jim James, Wax Fang, Twin Limb, Andrew Rinehart, Team Totoro, Cheyenne Mize, 23 String Band, Mudcat Blues Band, and others.